I’ve stashed the ricotta filling for stuffed shells in recipes/pasta with an additional recipe for baked ziti using the remaining 1-1/2 cups of ricotta filling adding in a few other ingredients so I have 7 pasta lunch/dinners or 2 party dinners for 6-8 stored in the freezer for later use…why certainly prep takes me longer using one hand and I didn’t make both recipes on the same day, but with some time to make 12 quarts or more of red tomato sauce or marinara ahead of time on a dreary day I can have containers ready and portioned for many meals. Saturday night, baked ziti, tossed salad with hearts of palm, artichokes, fresh mozzarella cubes with balsamic dressing. So Sunday was a simple ham dinner, ginger ale brown sugar spice glazed ham slow-cooked on the grill, that fabulous grilled sweet corn with butter and white pepper Cajun seasoning, a classic potato salad and peach sangria on the back porch. 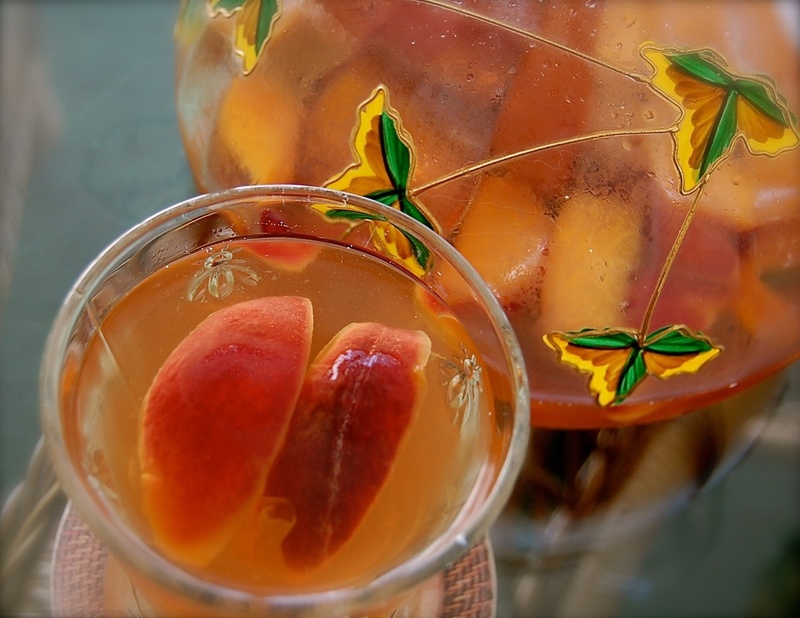 First things first, peach sangria, one bottle white Pinot Grigio, a splash or two of Framboise, 2 tablespoons sugar or agave, 3 washed and sliced peaches, 1/4 cup fresh raspberries if you don’t have Framboise, 1/2 cup peach Schnapps, splashes of ginger ale when serving. Cover and chill for several hours. Simple classic potato salad with quartered skin-on yellow baby Dutch potatoes mainly because I managed mutilate the boiled eggs trying to peel them with one hand which by the ways also scheduled for carpal tunnel surgery after the left one shows progress hopefully in the near future. Two hands with numb fingers is not ideal for peeling anything! 1 large dash cayenne pepper. Place the potatoes in a large pot, add enough water to cover them, cover the pot with a lid, and bring to a boil. Cook in salted water to cover until the potatoes are pierced easily with the tip of a sharp knife, 15 or so minutes. Drain and let cool until you can handle them. Cut into quarters or halves, depending on the size of the potatoes. 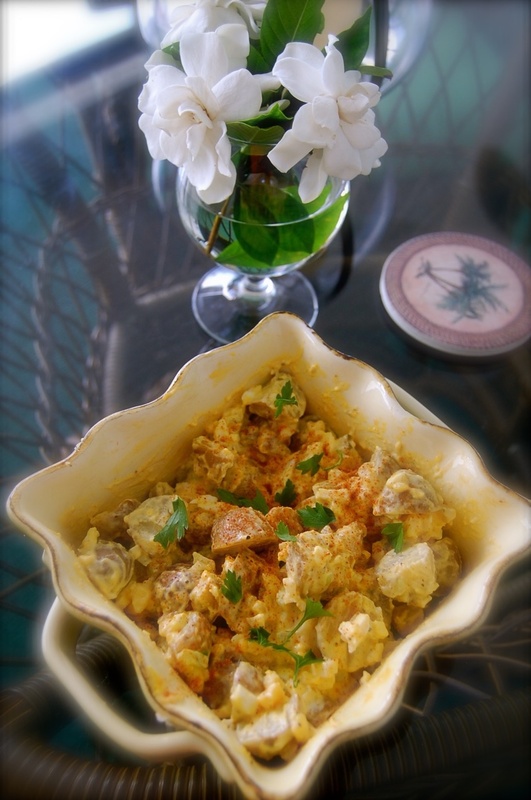 In a large bowl, toss together the potatoes, chives/parsley, onion, and eggs. In another small bowl, whisk together the mayonnaise, celery seed, sweet pickle relish, relish juice, sugar, salt, vinegar, mustard powder, mustard, and cayenne. Pour the dressing over the potato mixture and toss to coat. 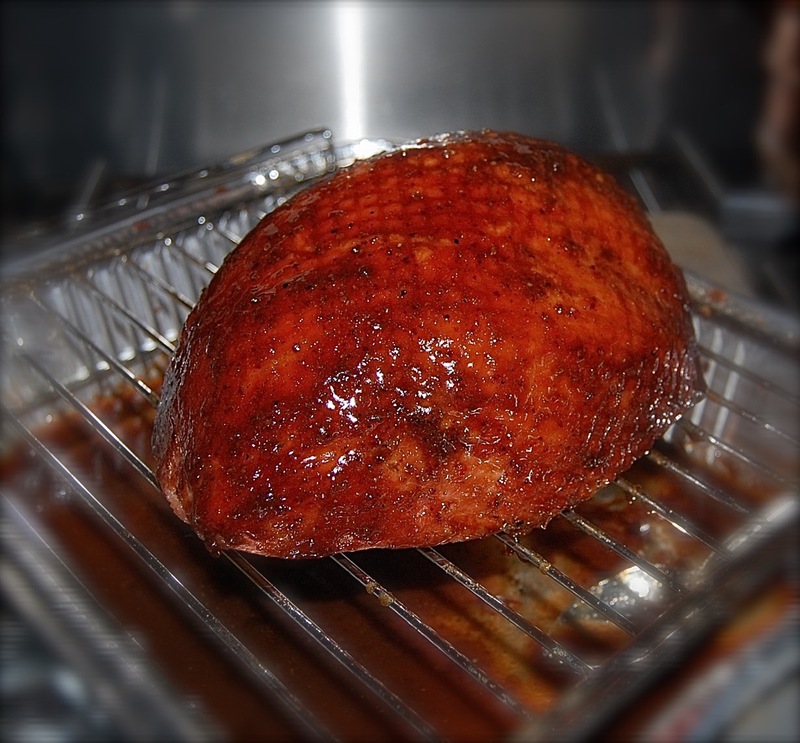 Cover and refrigerate for several hours. Sprinkle with additional optional Slap Ya Mama white pepper Cajun seasoning. Posted on June 8, 2015 by ibbeachnanaPosted in Dinner on the Grill, Dinner with sides, Sunday DinnerTagged Potato Salad.